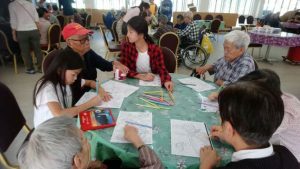 As part of their annual Service Day, a group of Grade 7 students visited St. Mary’s Home for the Aged, our neighbourhood elderly home, to lead activities with residents and help with cleaning. 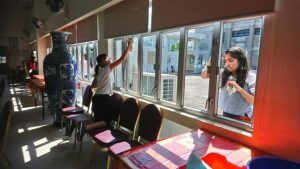 Students started out by leading a lively game of Bingo and getting to know residents, before getting their hands dirty scrubbing windows, railings and chairs. We had a great time at St. Mary’s and hope to connect with them again soon! 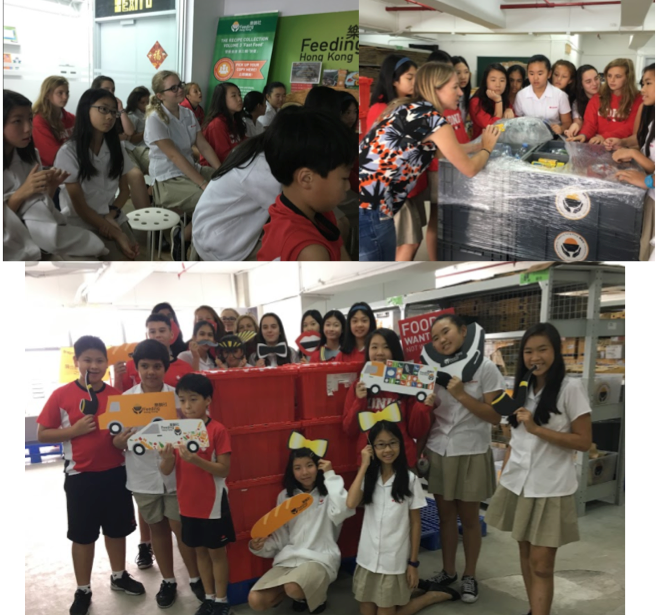 After the successful launch of the LEAP programme in February, students put their learning about what it means to be a leader to action by organising an event to spread awareness of their NGO. The Bear house worked hard to put together a simulation for a grade 3 class to build awareness and empathy towards people who do not have access to literacy education. 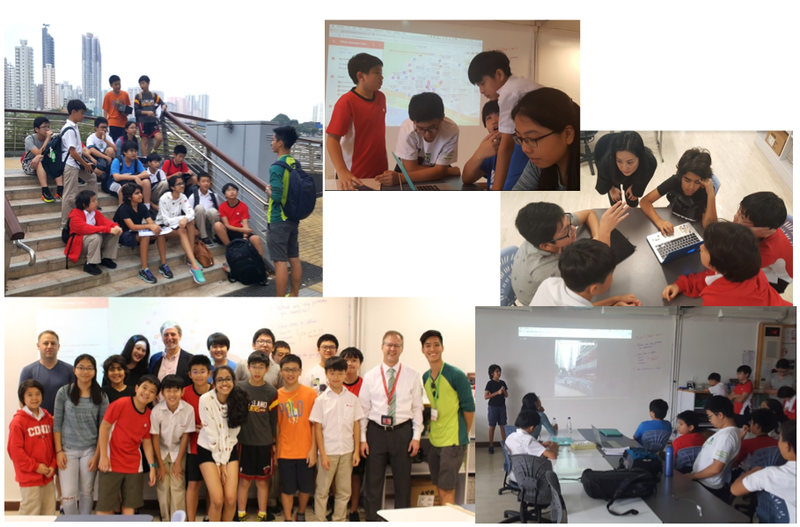 From organising the rooms, to planning and organising 4 different activities; these simulations were completely student led. This is the first house to take action from the LEAP programme. More to come in the next few months! Just before Christmas break, UNICEF proposed and ran a poverty simulation for Grade 4 students. The simulation introduced them to some of the emotional effects poverty and the inequality of the living conditions that are rampant in some underprivileged parts of the world, where people are discriminated against for being who they are and the socio-economic class they occupy. 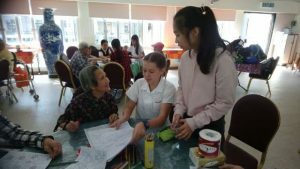 During the simulation, the young learners were put into families who attempted to earn money to survive by working in different booths where they were required to do various tasks. Each family had a distinctive social status and condition, with both the well off and the economically challenged represented. The families were treated differently based on their monetary situations and paid according to their economic class, which caused those having the experience of representing families with lower social status to gain some insights into how emotionally painful the unequal treatment is. 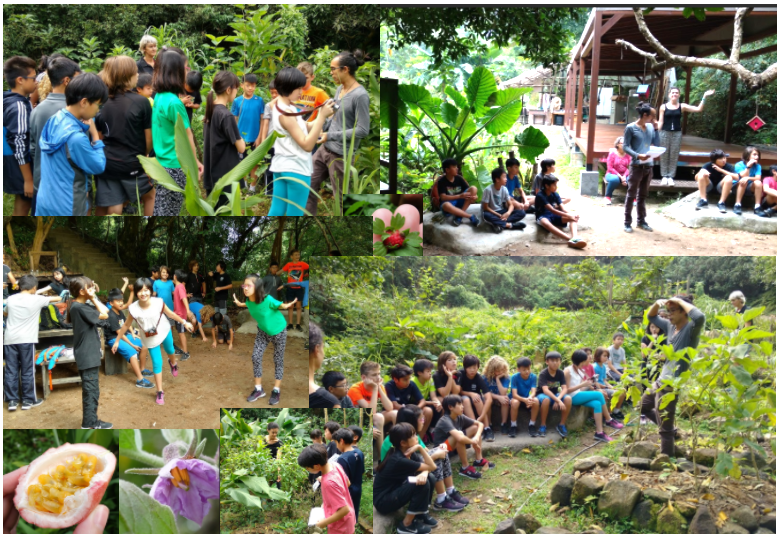 During the debrief of the activity, the 4th graders reflected on the experience of being treated so conspicuously unfairly for occupying a socio-economic level over which they had no control. 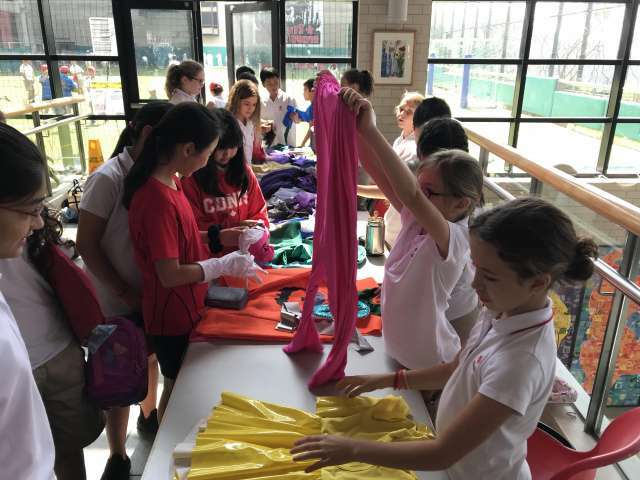 In late October and early November, UNICEF collected gently used donations of winter clothes from Upper School students to benefit the refugees aided by Christian Action, a non-profit organization based in Hong Kong. 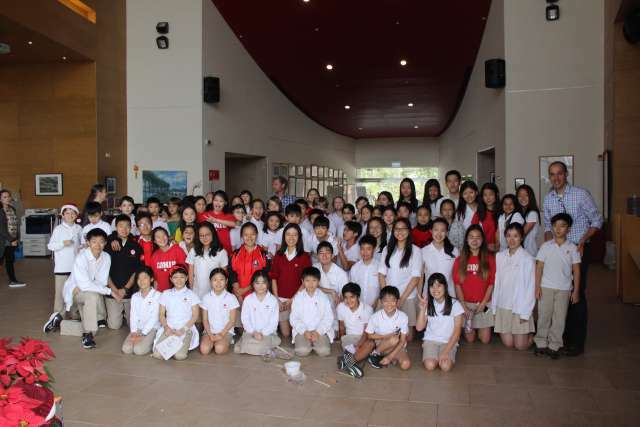 In a friendly class competition to “win” a free dress-down day, each grade also donated money in addition to the clothes, with the funds collected being NGO-distributed in a way to help most effectively those in the most need. The drive raised more than $2,000 and yielded 4 large boxes packed full of clothes. 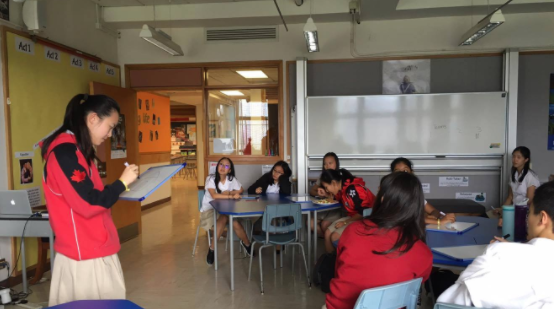 On the 7th of December, Amnesty CDNIS hosted the annual “Vow of Silence”, a school-wide activity to raise awareness about those in the world who do not have a say in their human rights. By challenging students to not speak for an entire school day, we allowed them to experience the life of those who do not have a voice, or whose voice is not heard. All funds from sponsorships went to Amnesty International and Justice Centre, both organisations that support and advocate for human rights, one local one global, especially for the right to free speech. The main learning outcome we connected with the most is the statement “I understand that every human being has basic universal human rights, no matter what culture he or she is from. “ As a result of advocating for this human right violation, we brought light upon this issue and was able to allow our school community to better understand this learning outcome. As Amnesty is based upon advocating for human rights, we found it very fitting to be able to use this valuable opportunity of sharing our passions. 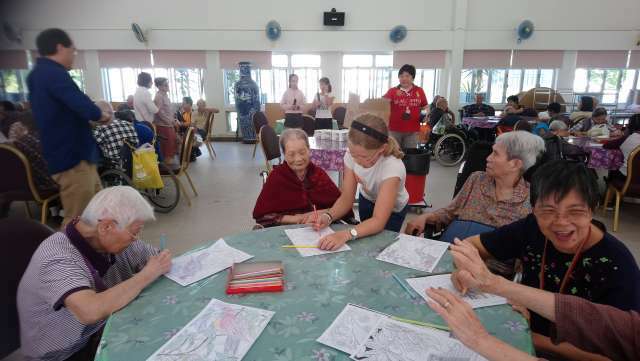 Furthermore, the lunchtime activities to enhance the challenge allowed for first-hand experiences as to not having one’s voice heard. Through utilising different methods of communication, students explored the variety of ways in which a message could be presented. Habitat for Humanity is a non-governmental organization originally founded in the United States; their mission is to have “A world where everyone has a decent place to live.” It advocates for affordable housing, supports sustainable development and promotes dignity and hope for everyone. Inadequate housing is a significant global issue that needs to be addressed as it is a leading cause for poverty. 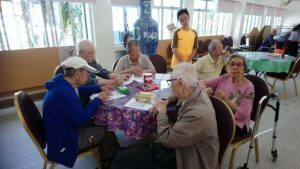 At CDNIS, the Habitat for Humanity (HFH) chapter (https://www.facebook.com/hfhcdnis) focuses on promoting awareness of the global issue of substandard housing to the school community. 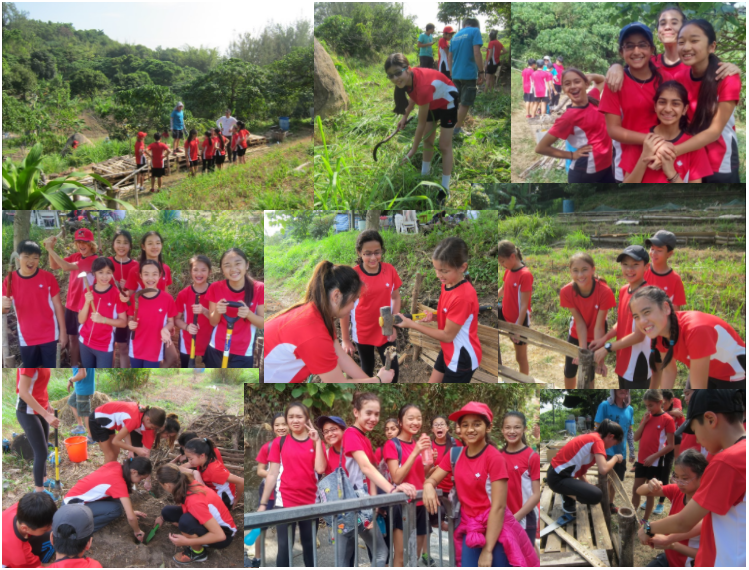 This past September, around 20-30 participants (students and teachers) joined a build trip to Rayong, Thailand to build a home for a family in need. This was Habitat’s fourth time in the country after volunteering and visiting in 2010, 2012 and 2014. 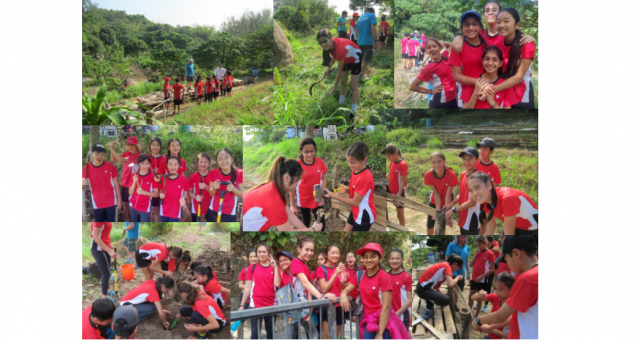 Students helped to construct a safe and decent home for a family in need by doing a multitude of tasks, such as moving bricks, mixing cement and laying bricks. 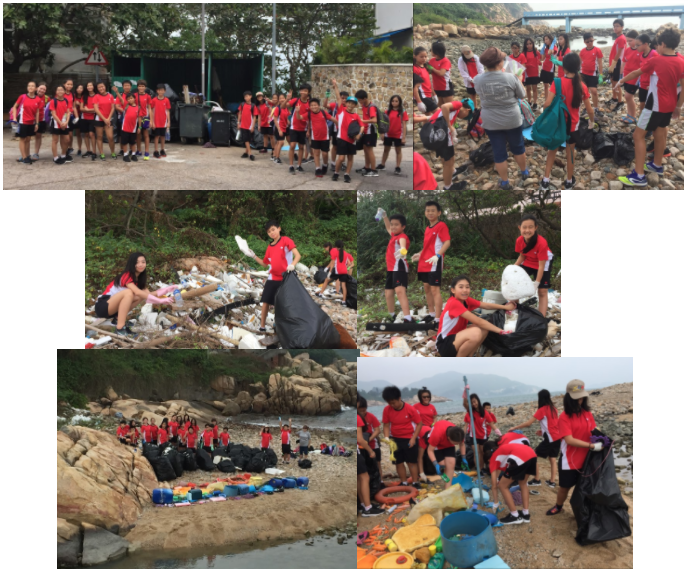 Students got the opportunity to interact with locals from the village and see first hand the impact that they were making. 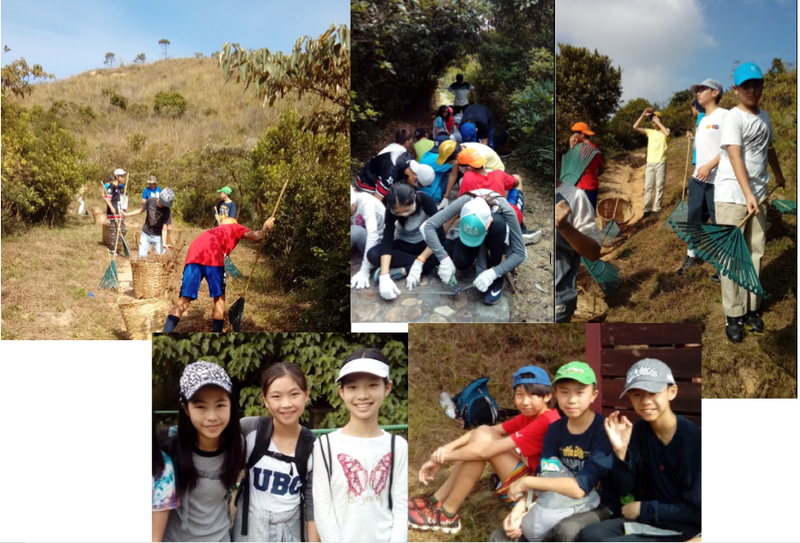 It was a lot of physical work, but students thoroughly enjoyed the experience as they got to bond with people from different grades and personally take action to help improve the global issue of inadequate housing. Click the link to watch a video summary of our trip! 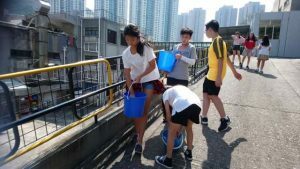 The CDNIS, Habitat for Humanity (HFH) club (https://www.facebook.com/hfhcdnis) focuses on promoting awareness of the global issue of substandard housing to the school community. 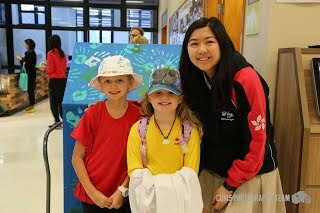 This year Habitat for Humanity hosted its 7th annual Lower School fundraiser: Paint Your Hat! This year, we chose a hat as the themed object because those who build homes need to wear a building hat to ensure their physical safety. The Paint Your Hat Event took place last month from November 28 to December 2nd and lasted a total of 5 days. 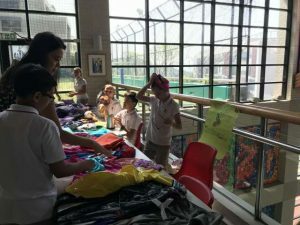 Lower School students from Prep to Grade 6 were invited to sign up to decorate their own hat. 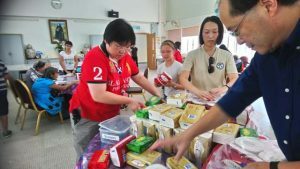 This annual event helped to raise awareness for Habitat for Humanity and the issue of substandard housing and the proceeds are used to subsidize CDNIS’ International build trips. This was an incredibly successful fundraiser and we would like to thank all parents, staff and students that made this event possible. The Reading Tree has reached our goal and raised a total of $12,840 from CDNISBID2, a teacher service auction that took place on November 9th. Over 30 CDNIS teachers provided auction items such as deadline extensions, gourmet meals and hobby classes for students to bid on, contributing to our club’s great success. 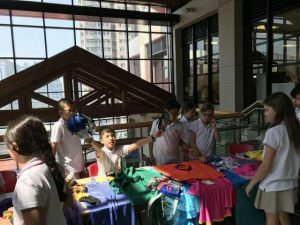 All funds raised from this event have been used for purchasing books, preparing resources for teaching, and reconstructing a ceiling for The Basis Primary School in Bagan, Myanmar during our annual CAS week trip. With the contribution and support from the CDNIS community, The Reading Tree continues to support the learning environments of less privileged children. 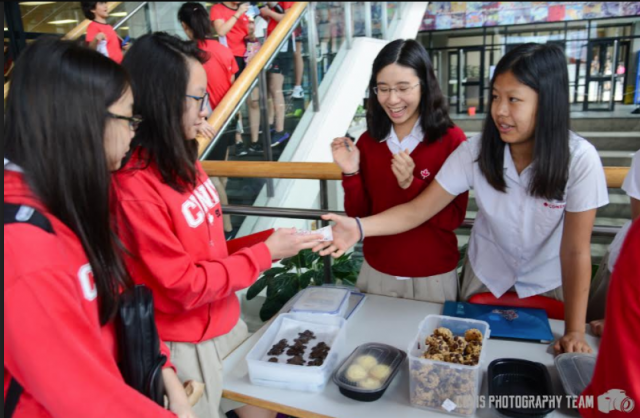 Averaging one event per month, this year’s UNICEF club has been working hard at fundraising and raising awareness for the seven goals of the organisation. 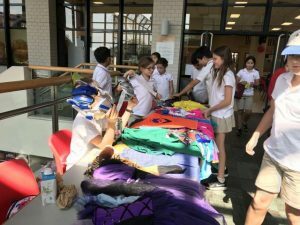 These fundraisers have included a winter clothing drive, donation collection, a cotton candy sale and the UNICEF bake sale, which has been the highlight so far. The bake sale also served as a means to raise awareness for UNICEF’s goal of eradicating hunger, with the prices corresponding to certain statistics and a slideshow educating those in line. Future events for UNICEF will focus on the goals of reducing poverty and the importance of clean water and sanitation. CDNIS Reading Tree celebrates success! 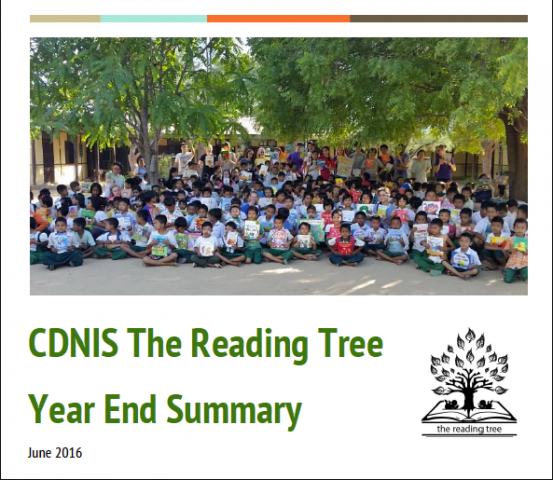 As the school wraps up, CDNIS The Reading Tree has shared their year end summary of the great projects and successes they have had this year. 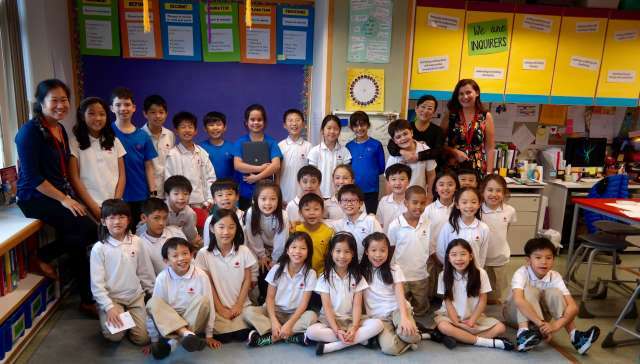 Upper School Students in this Global Issues Network (GIN) Club have regularly participated in Kids4Kids Buddy Reading to support literacy for local students in Hong Kong. 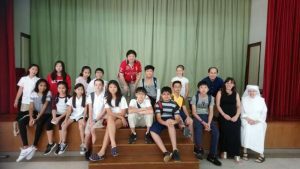 Additionally, The Reading Tree hosted an amazing CDNISBID fundraiser in May to purchase art and literacy supplies for elementary school children in Myanmar. Read more in their full year End Summary here!